Q. How do I remove Ad-Aware Secure Search from Google Chrome in Windows 10? I can no longer use Google as my search (and home page) on Chrome browser, I’am automatically redirected to Ad-Aware Secure Search. I’ve tried everything I can find online and nothing is working. Help! A. Did it occur after installing any new apps? What were you doing before the Ad-Aware Secure Search first occurred? Ad-Aware Secure Search a legitimate program (browser extension). If you don’t know where you got it from or why it’s on your computer, then you’d probably be best to uninstall it. In order to remove this software use ‘Uninstall a program’ tool and ‘reset Chrome browser settings’. In order to remove Ad-Aware Secure Search, start by closing any programs and pop-ups that are open. If a popup won’t close, then close your web-browser (Google Chrome, Internet Explorer, Mozilla Firefox and MS Edge). If a program won’t close then please restart your computer. Next, follow the steps below. The process of Ad-Aware Secure Search removal is generally the same across all versions of Microsoft Windows OS from 10 to XP. To start with, it is necessary to check the list of installed applications on your PC and uninstall Ad-Aware Secure Search, all unused, unknown and suspicious programs. Carefully browse through the list of installed software and uninstall Ad-Aware Secure Search, other Ad-Aware related software. We advise to click ‘Installed programs’ and even sorts all installed software by date. 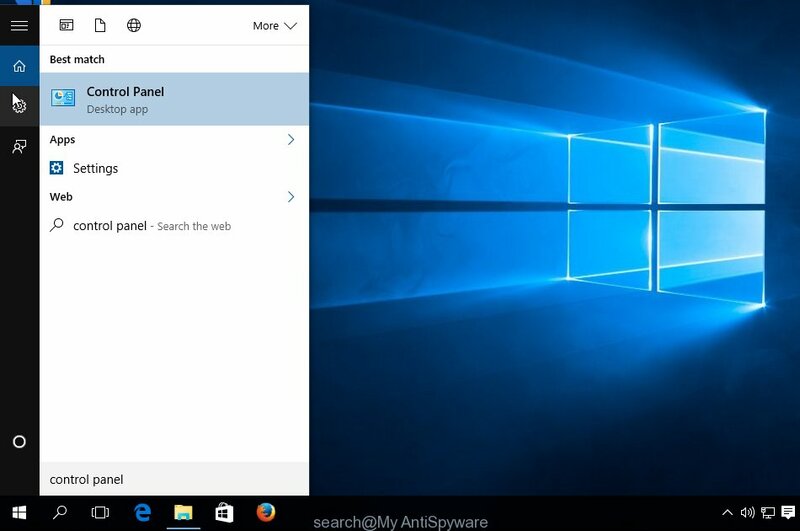 Once you’ve found Ad-Aware Secure Search related programs, then choose this application and press ‘Uninstall’ in the upper part of the window. If the application blocked from removal, then use Revo Uninstaller Freeware to completely get rid of it from your computer. 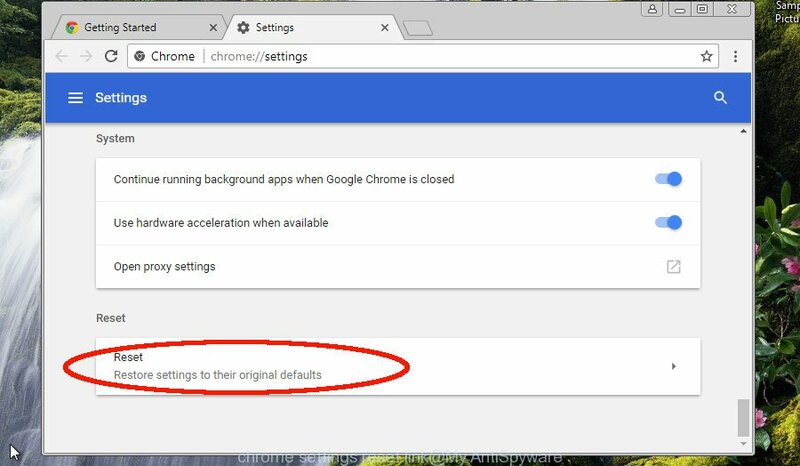 If you have Ad-Aware Secure Search removal problem or the Chrome is running slow, then reset Chrome settings can help you. In the steps below we will show you a method to reset your Google Chrome settings to original state without reinstall. This will also allow to remove Ad-Aware Secure Search from newtab page, home page and search engine. It will show the Google Chrome menu. Choose More Tools, then click Extensions. Carefully browse through the list of installed extensions. If the list has the addon signed with “Installed by enterprise policy” or “Installed by your administrator”, then complete the following tutorial: Remove Google Chrome extensions installed by enterprise policy. You need to confirm your action, click the “Reset” button. The web browser will start the task of cleaning. Once it’s done, the web browser’s settings including homepage, newtab page and search engine by default back to the values which have been when the Chrome was first installed on your system. In order to recover all browser new tab page, default search engine and homepage you need to reset the IE to the state, which was when the Microsoft Windows was installed on your system. First, run the Internet Explorer, then click ‘gear’ icon . It will show the Tools drop-down menu on the right part of the internet browser, then press the “Internet Options” as shown in the following example. In the “Internet Options” screen, select the “Advanced” tab, then press the “Reset” button. The IE will open the “Reset Internet Explorer settings” dialog box. Further, click the “Delete personal settings” check box to select it. Next, click the “Reset” button as on the image below. Once the procedure is done, press “Close” button. Close the Internet Explorer and restart your system for the changes to take effect. This step will help you to restore your web-browser’s start page, new tab and default search provider to default state. This step will allow you delete Ad-Aware Secure Search, third-party toolbars, disable unwanted addons and restore your default start page, newtab page and search engine settings. Run the Mozilla Firefox and press the menu button (it looks like three stacked lines) at the top right of the browser screen. Next, click the question-mark icon at the bottom of the drop-down menu. It will display the slide-out menu. Click the “Refresh Firefox” button at the top right of the Troubleshooting Information page. Select “Refresh Firefox” in the confirmation prompt. After completing the tutorial above, your machine should be clean from unwanted software. 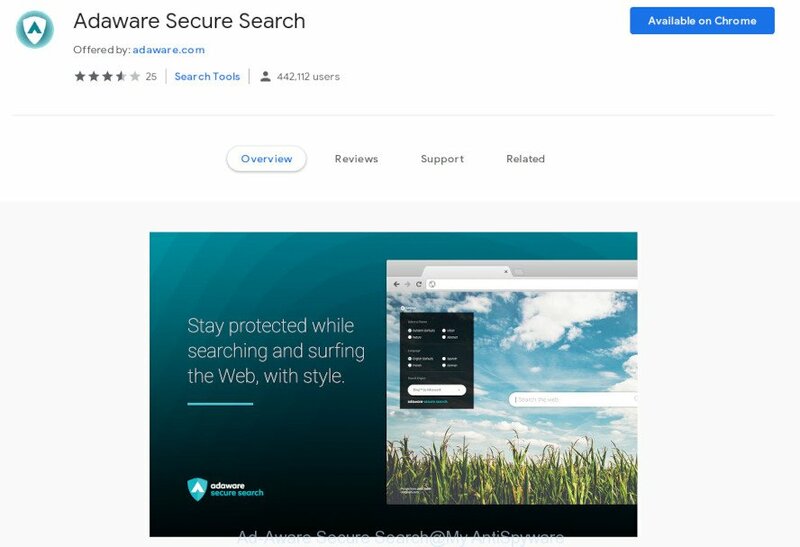 The Edge, Microsoft Internet Explorer, Chrome and Mozilla Firefox will no longer display the Ad-Aware Secure Search on startup. Unfortunately, if the step-by-step instructions does not help you, then ask for help. Please create a new question by using the “Ask Question” button in the Questions and Answers. Try to give us some details about your problems, so we can try to help you more accurately. Wait for one of our trained “Security Team” or Site Administrator to provide you with knowledgeable assistance tailored to your problem with the intrusive Ad-Aware Secure Search home page.